Please note on check or on paypal message line that the donation is to be applied to Polly's Fund. Thank you. Polly was a three year old dog with a tragic life. She had been beaten regularly and had trauma to her eyes, had a dislocated hip and a broken tail. Polly was rescued from her abuser and was taken into St. Martin's founder, Susan's home. Polly was a happy girl with so much life. She was a tiny dog with a huge presence. She absolutely thrived in her new environment. She certainly held no grudges. Polly only lived two months after her rescue. On a Sunday morning, Susan noticed that Polly was lethargic and just not herself. By 3pm, Polly's breathing was extremely labored. 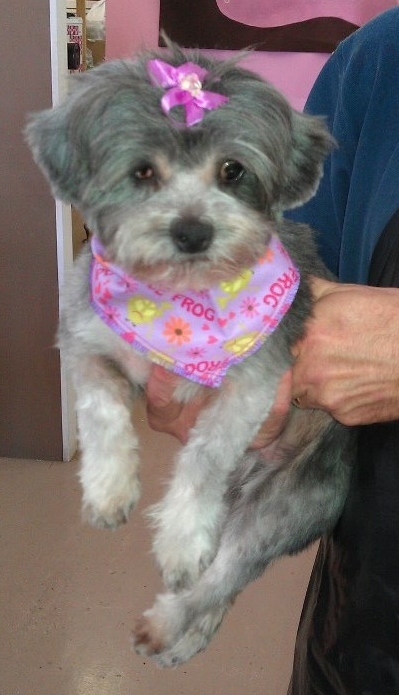 Polly was seen by Dr. Brooks at Homestead Veterinary Clinic. An exam was done which determined that Polly was suffering from an acute onset of congestive heart failure. The humane thing to do for her at that point was to let her go and end her suffering. Susan's time with Polly was short; too short. St. Martin's honors Polly's memory by establishing and maintaining Polly's Fund. The purpose of Polly's fund is to have an earmarked fund account for emergency veterinary services for all the animals in St. Martin's care when they need care afterhours. No pet in St. Martin's care will be denied medical care just because it is late into the night or on a Sunday. May Polly rest in peace and God's love.